People are accustomed to using SD cards or memory cards to store files. For example, we use a digital camera to take photos, which are stored on the camera's memory card. We were unable to export our data when the SD card or memory card became inaccessible. However, there are some solutions that can help recover lost data from an inaccessible SD card or memory card, such as Rcysoft Data Recovery Software. 100% recover deleted, formatted or inaccessible files from SD memory card. 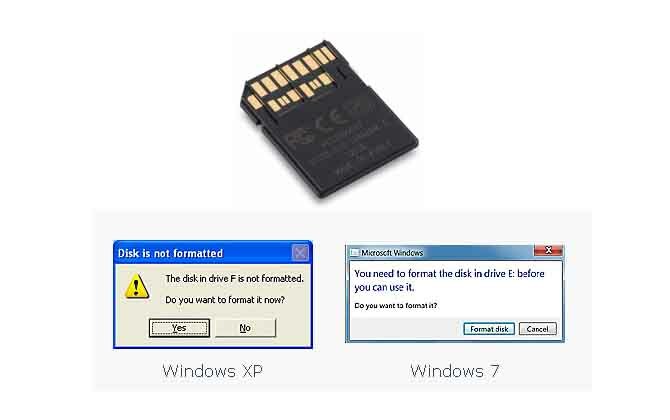 Easily recover lost data from an SD memory card that cannot be opened. When your SD card or memory card can be recognized by your computer, the lost data is fully recovered. Safely recover lost files when your SD card or memory card is emptied. Support SD memory card RAW recovery. Step 1: Connect the SD / memory card to your computer. Step 2: Click on "Deep Scan", select the SD memory card, and then click the "Scan" button. Step 3: Select the file to be restored and click the "Save" button to recover the lost data from the unreachable SD memory card.